Each week after I get my CSA, I sit down and list all the veggies I have, then I go right to allrecipes.com and find some meals to make. Last week I made this unique meal about this one: Veggie Empanadas - based off of an Argentinean recipe. I have had some good empanadas in my life. Almost a year ago my Husband and I were on our honeymoon in Costa Rica. While in Costa Rice we found this awesome bakery about twenty minutes from our rental house (which is available to rent online too). One of my favorite things to get was their empanadas. We would buy them (for $0.50 a piece) after a day at the beach, go back to our rental house, heat them up and have like 3 or 4 for dinner. They were AMAZING. So when I saw this recipe (and it uses my mushrooms, kohlrabi, spring onions, and squash) and I knew I had to try it. Heat olive oil and butter in a skillet over medium heat. Stir in garlic; cook and stir until fragrant, about 3 minutes. Stir in kohlrabi, and season with salt and pepper. Cook and stir until kohrabi has softened, 5-8 minutes. 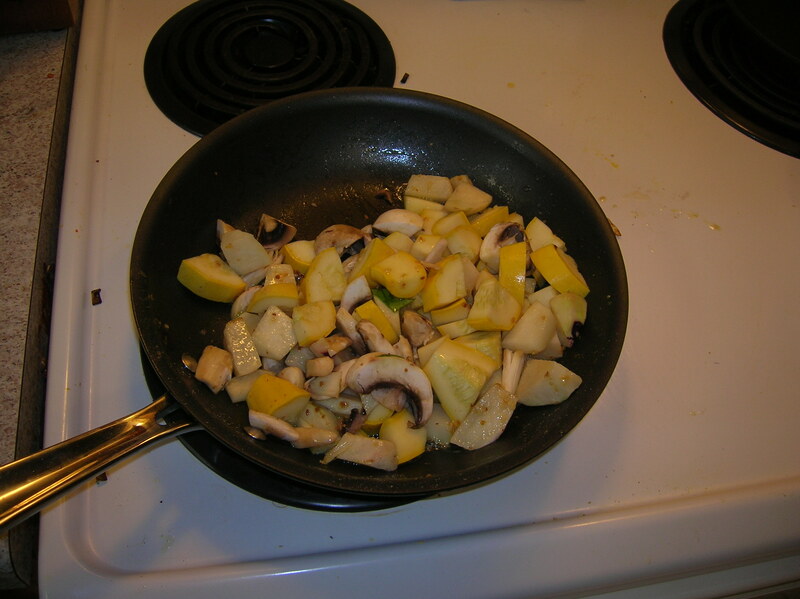 Toss in yellow squash and mushrooms and continue to cook until squash is tender for 5 more minutes. Stir in the spring onion, spinach, and nutmeg. Add more salt and pepper, as needed. Cook until the spinach has wilted, about 4 minutes. Set mixture in freezer to cool. Preheat an oven to 425 degrees F. Line a baking sheet with parchment paper (or with foil and grease well). Beat the egg with water in a small bowl; set aside. Roll out the pie crusts and thin with rolling pin. Cut out about 10 6-inch circles using a large cookie cutter or cereal bowl. Fill the center of each circle with about 2 Tablespoons of the kohlrabi mixture. 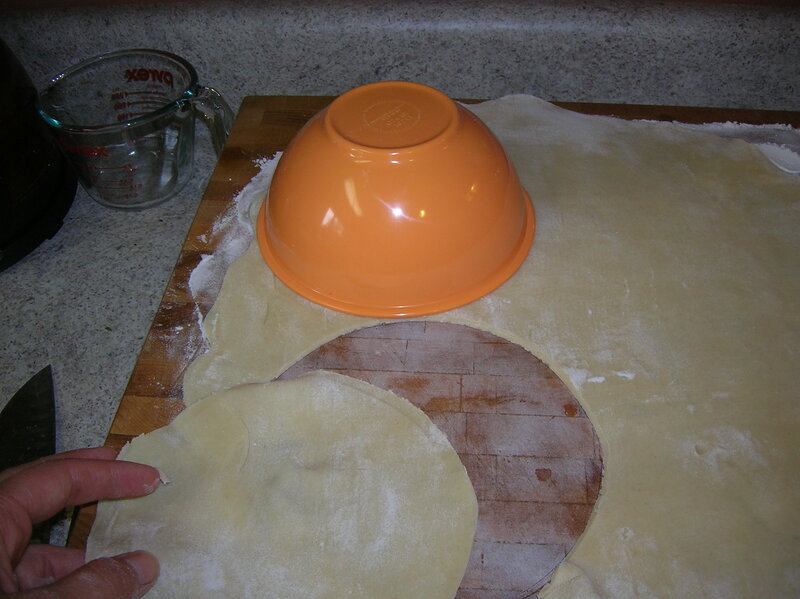 Brush the edges of the pastry with water, then fold the dough in half. Crimp the edge of the dough with a fork to seal, and place on the prepared baking sheet. 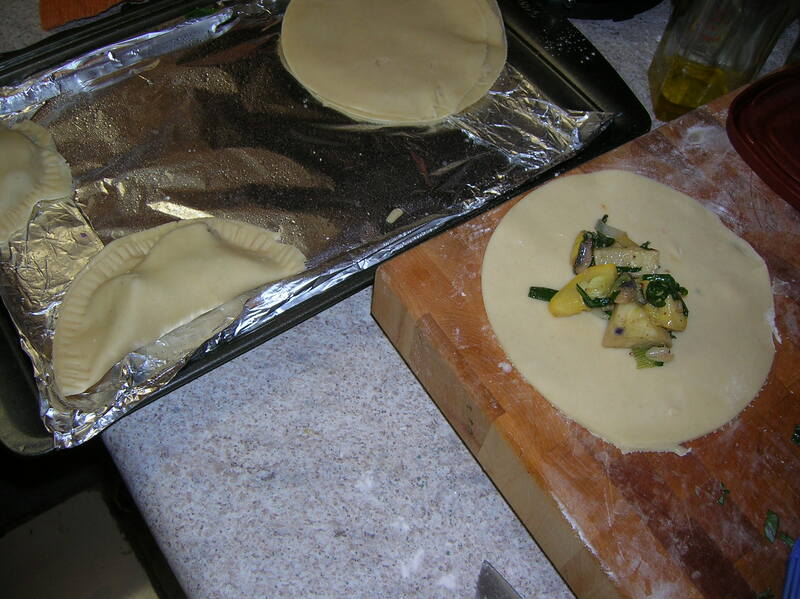 Repeat with the remaining pastry and vegetable filling. 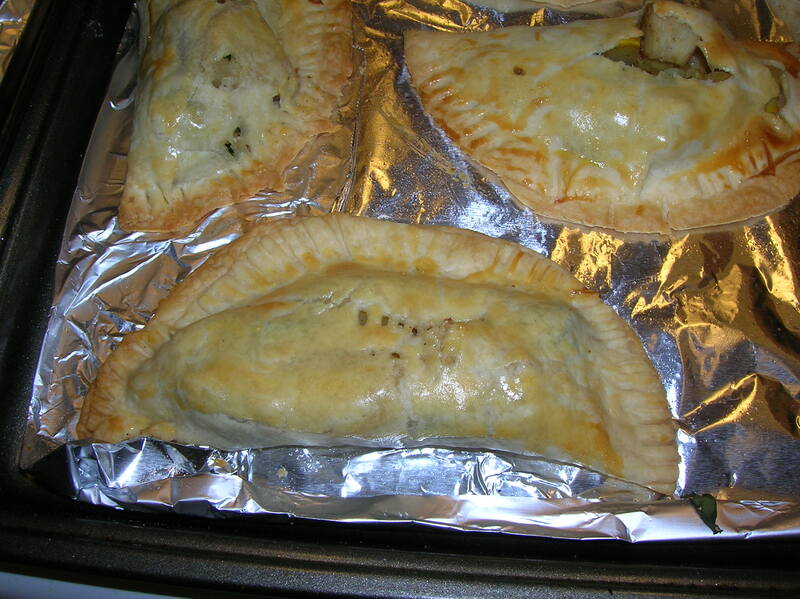 Prick each empanada with a fork, then brush with the egg wash.
Bake in the preheated oven until golden brown and flaky,10-12 minutes. Serve hot from the oven. 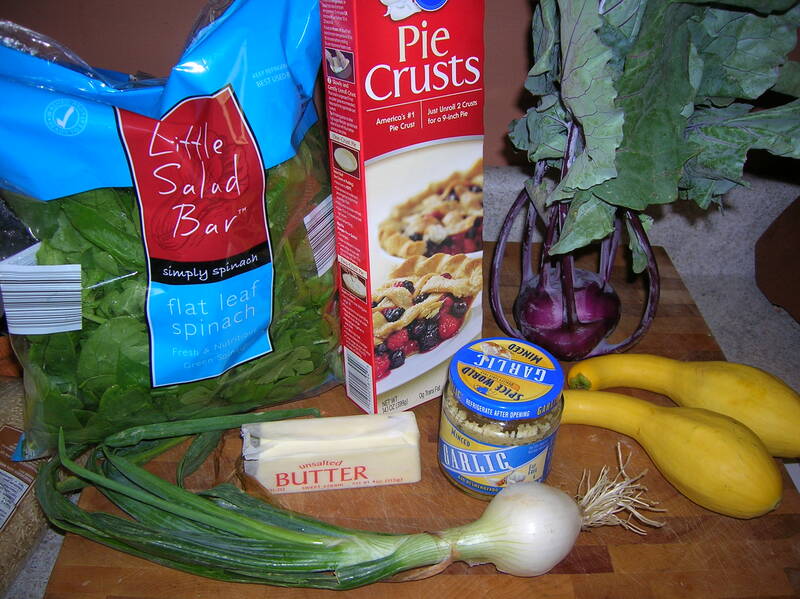 - For add delicious-amazing-ness try making your own pie/empanada crust! - Use any kind of veggies in season or even try some crumbled beef or ground turkey! What do you think? Did this work out for you? This sounds really good! I would love to be part of a CSA but I was worried about what I would do with all the weird veggies/the ones I've never really cooked with before. This sounds like a great use! Thanks Sherri, It is GREAT! And we are splitting a CSA share with another couple. And even half of a share for two people is hard to use it all. :-) You should do one next year!